(25z) - Vintage Red Line Hot Wheel lot. These are becoming harder to find. 1967 Custom Fleetside, 1968 Torero and 1973 Neet Streeter "Oldie but a Goodie". All in as found condition. 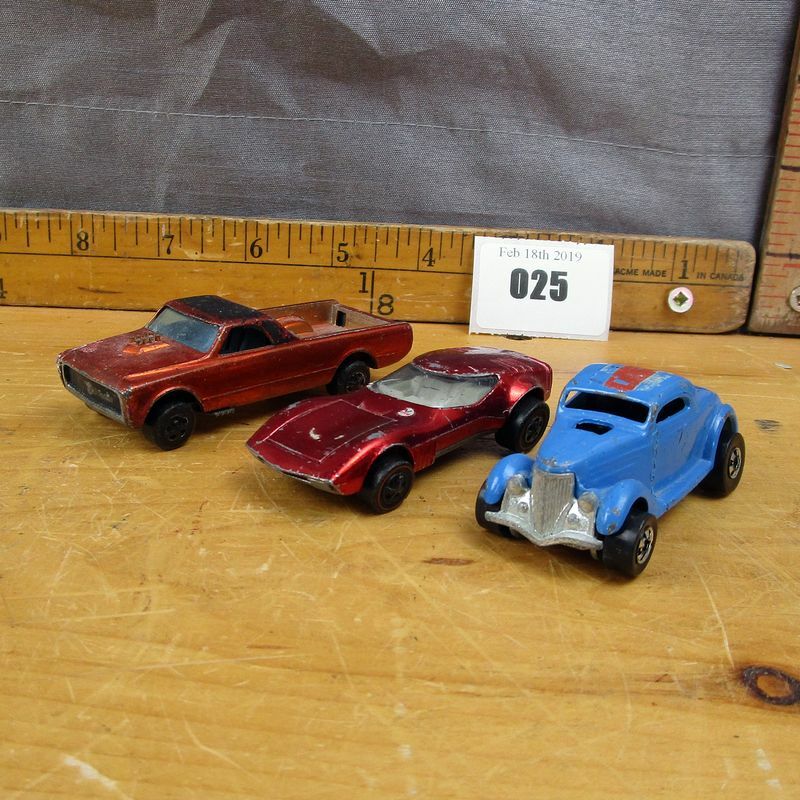 **Lot Details: (25z) - Vintage Red Line Hot Wheel lot. These are becoming harder to find. 1967 Custom Fleetside, 1968 Torero and 1973 Neet Streeter "Oldie but a Goodie". All in as found condition.